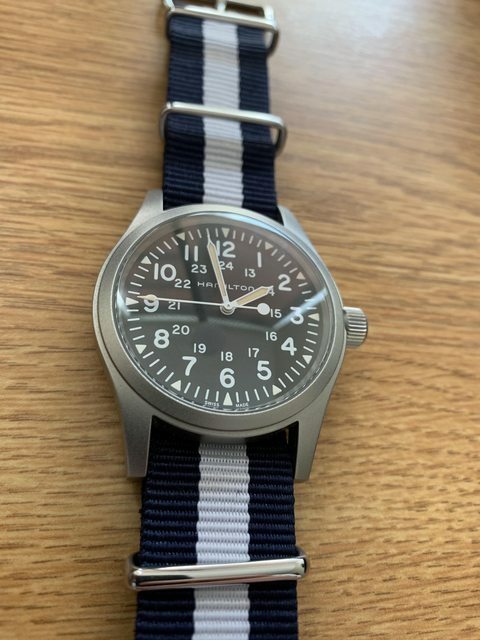 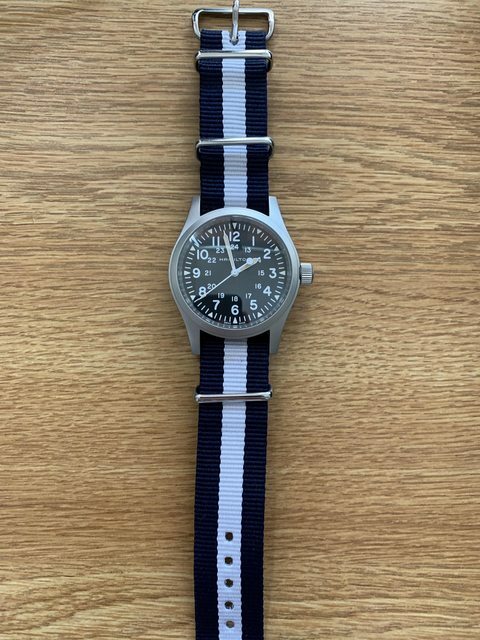 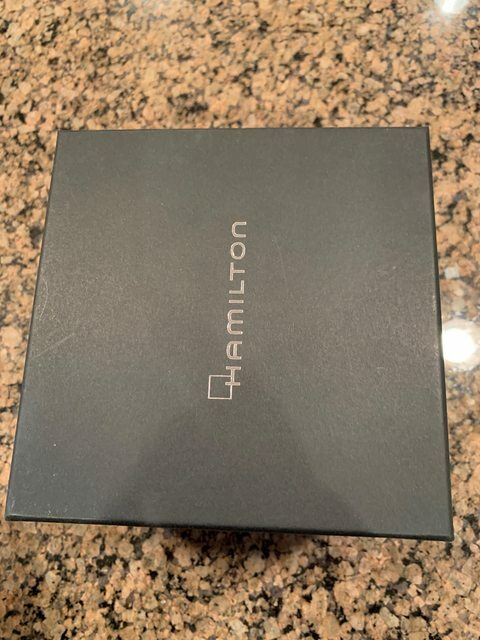 For sale is my Hamilton Khaki Field Mechanical 38mm. 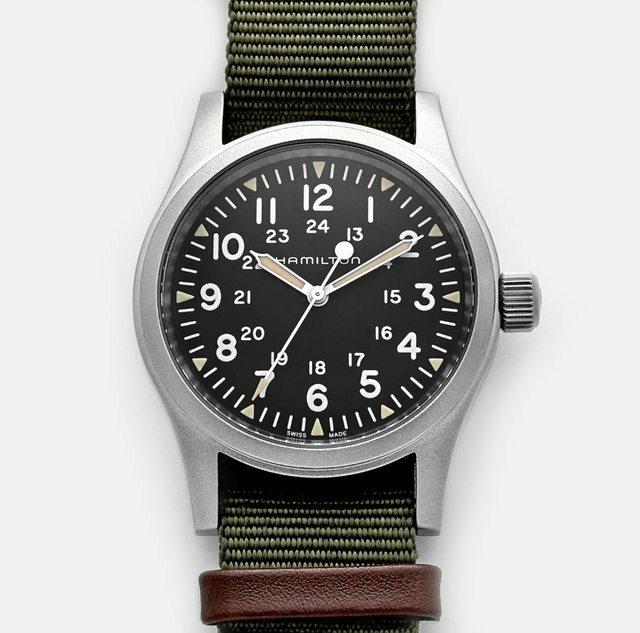 Watch is in better than 99% condition. 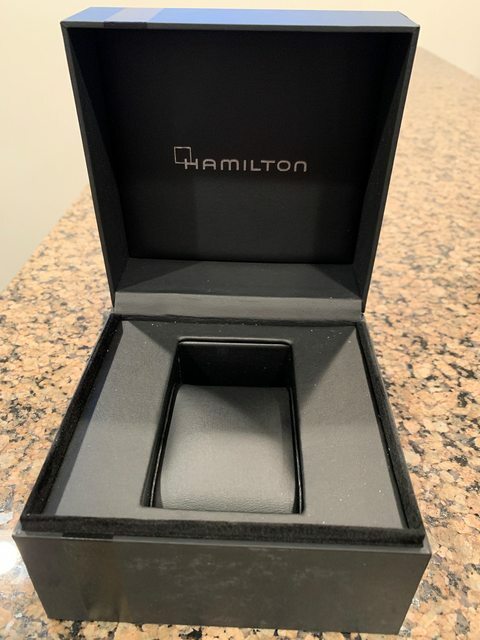 This is a full set, including box, manual, original hang tang, 2-year warranty card from Hamilton (watch is still under warranty), as well as the outer box. 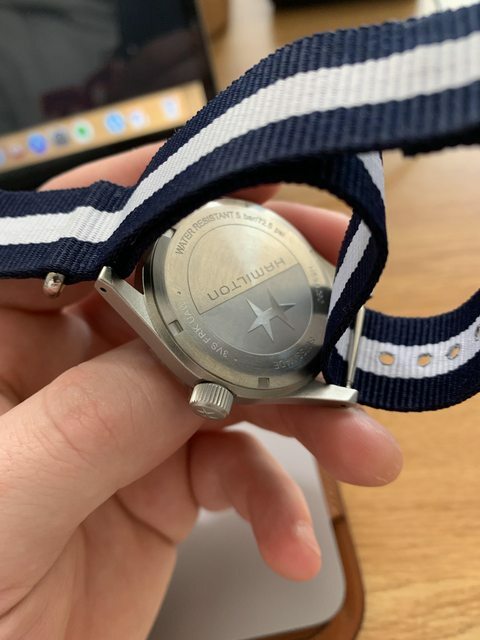 I will include the NATO currently on the watch and the original one as well.